Chris Pratt, Elizabeth Banks and Will Arnett (as Batman) return to the animated Lego world. Even as The Lego Movie 2’s predecessor earnestly tinkered around in Toy Story territory, it also managed something of a Shyamalan-like twist at the end, revealing that the whole thing has been a live-action little boy’s anxiety tale about his dad. 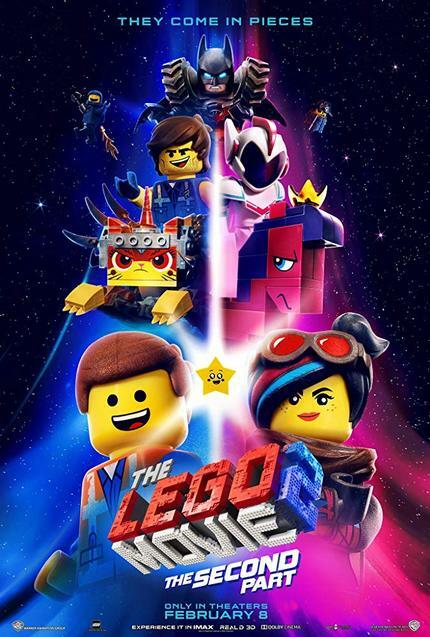 The Lego Movie 2 finds itself saddled with that reveal from the outset, regularly cutting back and forth from the continuing adventures of Emmett (voice of Chris Pratt), Lucy (Elizabeth Banks), Batman (Will Arnett) and UniKitty (Alison Brie) and the corresponding real-world activity. The Justice League getting lost once they disappear into the mysterious light portal known as “the stairgate”? It’s the little sister taking her older brother’s stuff out of his basement menagerie. Rex having been lost for the ages in a dark, unknowable netherworld? Just another mini-fig lost under the dryer. It quickly gets to be a cumbersome device, if not an aptly consistent one. Once passed this film’s requisite twist/reveal and form-nudging pranks that Adam McCay thought were so awesome in Vice, we wind up in a film-spraining wrap-up that’s Toy Story 3 in emotional intent, part Lord of the Rings: Return of the King in its refusal to end. 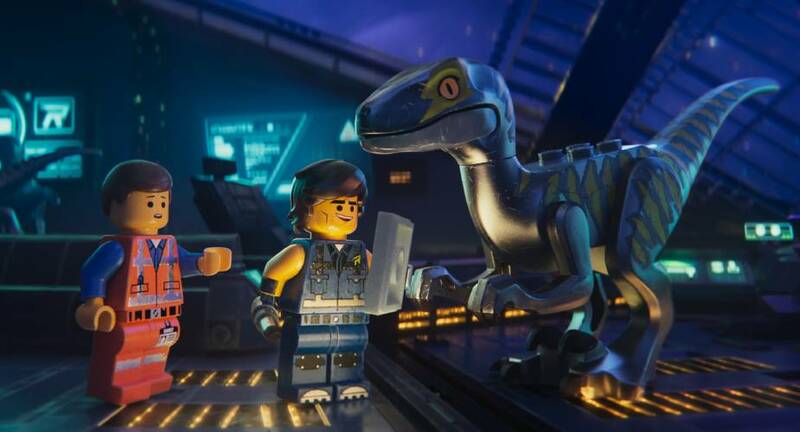 The most interesting thing about The Lego Movie 2 is the notion that Rex is too Han Solo-esque for comfort. Maybe if Lord and Miller hadn’t gotten waylaid into that debacle, this Part wouldn’t feel so woefully secondary. In this case, second to Spider-Man: Into the Spider-Verse. In terms of other Lego movies, though, it’s the bottom of the bin.